SmartSpeed™ is a web-based collaborative video communication software that allows healthcare providers to deliver interdisciplinary healthcare out in the field, in real time, and through coordinated post-assessment work. SmartSpeed™ is a web-based collaborative video communication software that allows healthcare providers to deliver interdisciplinary healthcare out in the field, in real time, and through coordinated post-assessment work. The application has been developed in collaboration with the Spinal Cord Injury Clinic of the Health Sciences Centre of the Winnipeg Regional Health Authority (HSC WRHA), in particular to support complex wound care delivery to patients in and outside of Winnipeg. How do care delivery organizations incorporate video technology seamlessly into a clinical workflow involving multidisciplinary teams in order to provide better patient access to care, optimize the outcomes, and increase efficiency? 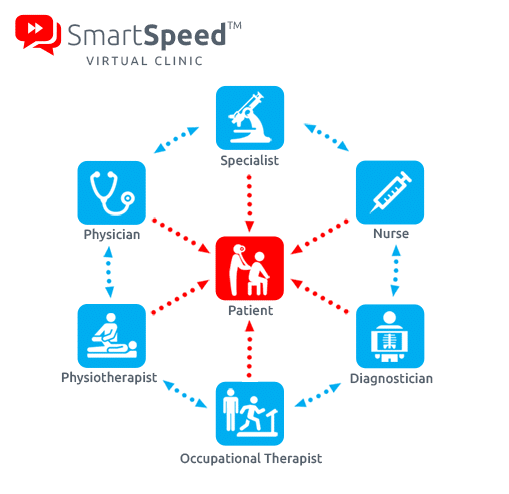 SmartSpeed™ Virtual Clinic is web-based collaborative video communication software that allows healthcare providers to deliver multidisciplinary healthcare out in the field, in real time, and through coordinated post-assessment work. Maximizes a multidisciplinary team’s time employing virtual consultation and post-session annotations for efficent review and follow up. Serves hard to reach patients that are geographically or mobility challenged in a more comfortable and effective manner. 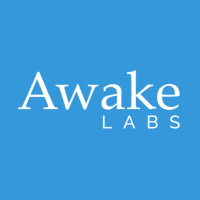 Reduces the number of in-person visits for those needing post-discharge follow-up and chronic disease management. Facilitates diagnosis and developing treatment plans through more efficient collaboration of healthcare professionals. Decreases the costs of the multidisciplinary care delivery. Increases the level of patient satisfaction by more effective and systematic care delivery. Video communication for a team of up to eight specialists and a patient through a web-based solution that is accessible by any browser/mobile Android device. Recorded consultation videos can be reviewed by members of a multidisciplinary team at any time and place, without the inherent challenges of coordinating schedules. Intelligently and dynamically selects and plays back the relevant parts of the recorded video based on the viewers preferences, and allows busy professionals to fast-forward through unimportant parts. The original videos are not altered or lost. Annotations, tags and comments can be added to the recorded videos upon review, allowing for better utilization of clinical expertise. Integration with EHR and scheduling systems. SmartSpeed™ dynamic analysis and playback technology for multiple video streams has been developed by Norima Innovations. SmartSpeed™ technology can be utilized in different applications in healthcare, retail sales, surveillance, entertainment, education and other industries. I Want SmartSpeed Virtual Clinic For My Team! Karen Ethans, MD, FRCPC, is Director of the Spinal Cord Unit at Winnipeg’s Health Sciences Centre, and Assistant Professor in the University of Manitoba, Dept. of Internal Medicine’s Section of Physical Medicine and Rehabilitation. Dr. Ethans is a clinical specialist in medical rehabilitation, neuropharmacology, pain, spasticity, and neurogenic bladder.